VoIP vs. Landline for Business Phone Service: Which Is Best? With so much hype over VoIP (Voice-over-Internet-Protocol), you may be wondering if you should switch your business’s phone line to this new technology too, or if you’re better off with traditional business phone service. It’s a tricky question, as it happens because no one answer is right for every situation. VOIP vs. Landline: Which is Best for Business Phone Service? Other service providers might tell you that their solution is the best for every company under the sun, but the fact is, as amazingly useful and value-loaded as VoIP may be for many companies, retaining a legacy landline is truly the better option for others. To be confident in your decision – an extremely important one, too, since so much business takes place over the phone – you can consult with the experts at Atlantech, a leading provider of voice services in the Washington, DC, metro area. We have the experience and information at our fingertips that can provide the best possible advice for your decision. To help you get started with the VoIP vs. landline conundrum, here are seven key factors that often indicate the advantage of one phone technology over another in any likely situation. 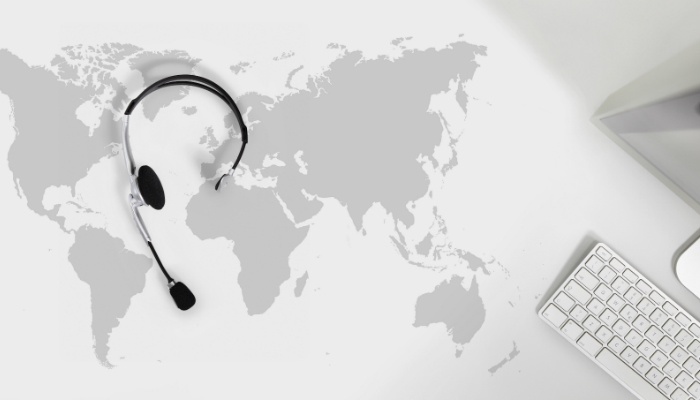 VOIP entails using a special adaptor that connects to your internet service, rather than using the usual telephone lines. Although this hardware is easy to come by, it does represent an additional investment. Useful features included with nearly all business VoIP plans include call waiting, caller ID, call forwarding, three-way calling, voicemail and call blocking. Internal transfers of calls and an office intercom are also mostly standard with corporate VoIP packages. Whether you use a landline or VoIP, and whether you are calling locally, nationally, or internationally, your ability to make outgoing phone calls and receive incoming calls is, for the most part, indistinguishable. In fact, many phone devices allow you to use both landlines and VoIP lines, with the end users unaware of which technology powers it. Keep in mind that as far as actual sound quality goes, the VoIP lines offered by many providers are often noticeably inferior to landlines. The technology is reliable, and VoIP audio is surely functional – and far improved over the performance of early VoIP solutions – but when the sound data is being transmitted across the Internet, factors like volume and potential interruptions (crackling, echoes, calls that are “breaking up”) may come into play. Superior VoIP companies, on the other hand (Atlantech included), maintain higher levels of sound quality control by transmitting calls on dedicated networks. So depending on the way you use your phone line and the VoIP provider you're considering, this issue may or may not be a deciding factor. VoIP is delivered over your network and thus is dependent on the electricity that powers computers – and on the Internet connection itself being live. By contrast, landline phone service is not connected to electricity (though many phones are), and in the event of a power outage, you would not lose phone service. That computer-dependence comes with the advantage of your being able to use a VoIP phone anywhere you have a computer if you’ve set it up accordingly. Your phone number can travel with you wherever you go. The proponents of landline phone service often cite that landlines are more reliable. The point about electricity is one often discussed, as VoIP phone systems do not work if there is a power outage. However, most businesses never experience a reliability issue concerning their VoIP phone system. A few years ago, reliability may have been an issue, but with the advancement of VoIP technology, it really isn't that big of an issue anymore. One way to manage any concerns you might have about reliability is simply to use both – so that even if you come to depend on VoIP primarily, you have a backup plan configured in the form of a landline. Which Voice Solution Is Best for You? This decision comes down to the above factors and what they would mean for the specifics of your business operations. When you pay attention to cost alone, you may find yourself favoring one approach over the other. Fortunately, phone costs have dropped significantly from what they were just a few years ago. However, even in the context of these price drops, VoIP tends to come in with better pricing than a landline – once the initial start-up costs, like obtaining the necessary hardware, are out of the way. The way to determine the cost-effectiveness of these solutions for your business is to price the individual features themselves, find out how they are bundled for greater efficiency and lowered rates, and choose the package that meets all your needs while billing you the least. Deciding if you want to opt for the wave of the future or stick with the generations-old, trusted favorite is tricky indeed. 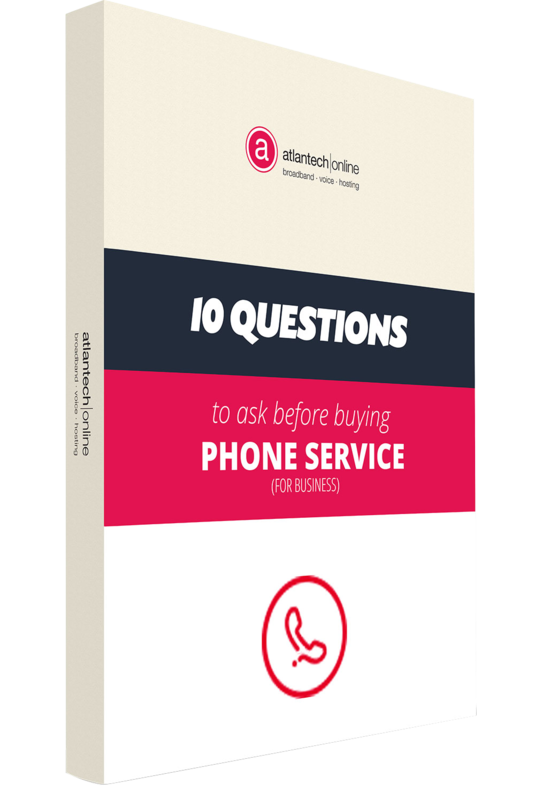 Feel free to talk about your questions with Atlantech, and we will help you figure out which phone service best accommodates your business needs. There is no doubt that you need a reliable phone system, and our experts are happy to work with you to find the best solution for your situation.